For eighteen years, Norman Baker was one of the most distinctive, outspoken and campaigning members of the House of Commons, uncovering the biggest parliamentary scandals of recent times. MPs’ expenses, the death of David Kelly, and the ill-fated flight BA 149 were all investigated by the man Nick Clegg referred to as ‘a cross between Gandhi and a battering ram’. 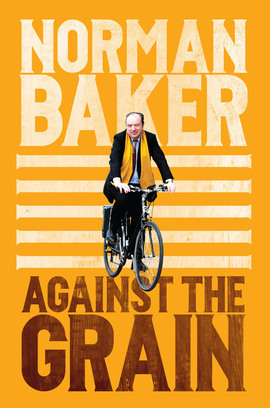 Against the Grain is Baker’s fascinating account of Westminster and constituency life, from the absurd to the deadly serious. His observations and investigations confirm how well-deserved his reputation is as one of the most dogged and persistent parliamentary interrogators the modern House of Commons has known. Amongst much else, this compelling tale reveals the truth about Baker’s successful campaign to force the resignation of Peter Mandelson, and lifts the lid on the inner workings of the coalition, laying bare the divisions and the surprising alliances at the heart of the Department for Transport and the Home Office. Insightful, honest and very funny, Against the Grain is a must-read for anyone interested in the machinations, the misunderstandings and the frequent missteps taking place behind the Westminster façade.